Our exclusive distributor is Health Coalition, Inc. Ensure your private practice stays competitive by working with OA Specialty Services GPO. 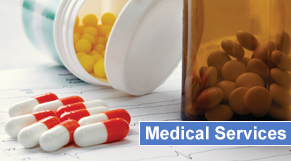 From acquiring commonly used medications at affordable rates to helpful management services, we work with a variety of major medical professionals across the industry to provide the products and services you need. OA Specialty Services GPO in Chesterland, Ohio, is a group purchasing organization for physicians. A division of RC Medical, we are one of the nation's largest specialty group purchasing and physician network services organizations offering practice management services, consulting, and exclusive product agreements. We are teamed exclusively with Health Coalition LLC, a leading specialty distributor. Our team of experienced clinical and sales personnel has contracted with major pharmaceutical and medical supply manufacturers such as, Johnson & Johnson™, CSL Behring™, Octapharma™ and Bio Products Laboratories™ and to offer a diverse portfolio of products to members of OA's group purchasing organization. We have the experience and expertise to work with immunologists, hematologists, rheumatologists, urologists, oncologists, and other specialists. Our organization provides a personal touch and turns things around quickly. We get back to practices answers to their questions in a very short time. Because we are not owned by any distributors, we are able to work well with independent small practices. Contact us in Chesterland, Ohio, for more information regarding our group purchasing organization.